Yandex NV (YNDX), Russia’s largest web search engine, agreed to buy car information and advertising site Auto.ru for about $175 million to expand into the classifieds business. 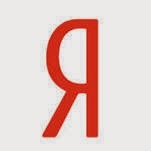 Yandex will complete the acquisition of Auto.ru in the third quarter, the Amsterdam-based company said today. Auto.ru features 400,000 classifieds for new and used cars and also auto parts, according to a regulatory statement. Yandex has twice the market share of Google Inc. (GOOG) in Russia and is expanding beyond Internet searches. The company bought the Multiship online-delivery aggregator in January after spending $80 million in October to acquire KinoPoisk, a Russian version of the IMDb movie database. The company’s shares fell as much as 2.2 percent in U.S. trading today and were 0.8 percent down at $33.47 a share at 9:44 a.m. New York time. While the deal size is significant, it won’t make a great contribution to Yandex’s financials in the short term, Renaissance Capital said today in a note. “Auto.ru is the leading vehicle classifieds website in Moscow and is in the top 3 across Russia,” Yandex said. Avito.ru, backed by Naspers Ltd (NPN), claims to be Russia’s largest online classifieds site. VTB Capital was Yandex’s financial adviser for the purchase, according to the statement.